Creative Cauldron is a not-for-profit arts organization providing opportunities for learning and participation in the performing and visual arts for children and adults. 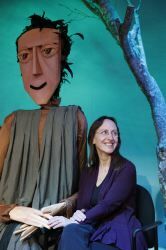 Creative Cauldron also offers performances by professional artists all year round at its artistic home and flexible arts venue, the ArtSpace site in Falls Church, Virginia. This year’s edition carries on the tradition. In recent interviews, your writer delved into the 2014 Passport to the World series to be held January 18 to February 28, 2014. Q. Why does the Creative Cauldron produce the annual Passport to the World festival? Creative Cauldron produces the annual Passport to the World Festival as a celebration of the diversity that enriches our northern Virginia community. Music, dance and story are universal tools of communication, but they are nuanced by each culture in fascinating ways. While the series offers delightful entertainment, it also provides a wonderful educational opportunity for our patrons. Q. What has been the audience reaction to the Passport Festival series? Audiences have really enjoyed the experience of the past festivals…we’ve had many couples and families use our “passport” option that allows them to see many different performances throughout the series at a reduced rate. There have been some absolutely spellbinding performances over the years. What’s particularly exciting is the cross-cultural exchange that happens when patrons from different heritages and ethnic backgrounds come together to experience the music and dance of a particular culture. Q. What has been the performers’ reaction to participating in the Passport to the World Festivals? Our performers in the series tell us they are thrilled to be able to share their passion for their music or dance with a wider audience. Many of them have limited opportunities to perform throughout the year. They also appreciate the intimate setting that we provide at the cauldron (only 85 seats) that really makes it easy to feel connected to an audience. Q. Please tell me about the 2014 Festival Open House. Q. Please tell me a bit about this year’s returning performers. Many of the groups that are featured in our 2014 Passport series are returning from previous years. We kick off the series again this year with Veronneau, an amazing acoustic Latin Jazz and Gypsy swing group that has earned rave reviews and captivates audiences with their special blend of samba, bossa nova and world jazz. 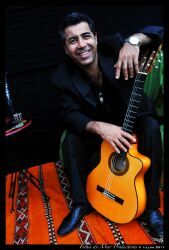 On a similar vein, Kamel Zennia provides an intoxicating evening of music from his native Algeria. Kamel’s music is so unique. It’s a fusion of folk/rock, rhumba flamenca, and what he refers to as “desert blues.” This is an evening that always has people up dancing, almost as if it were through some magical intervention. 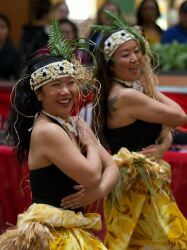 Hui O Ka Pua ‘Ilima provides us with a treasure of music and dance from Hawaii every year and Moch Pryderi provides a Celtic feast on traditional instruments. These are really very talented artists, with skills honed over many years of studying and performing and we are proud to host them for this festival. Q. What do you want audiences to come away with after attending a performance of the 2014 Passport to the World Festival? It is our hope that the Passport to the World Festival leaves people with a desire to learn more about the world around them, to explore music and cultural traditions that they are less familiar with and come to appreciate the diverse cultural resources that we have right here in our community. Q. Please tell me a bit about the Folklore Society and its mission? Founded in 1964, FSGW is an all-volunteer, not-for-profit 501(c)(3) organization. The Society seeks to further the understanding, investigation, appreciation, and performance of the traditional folk music and folklore of the American people. You can learn more about FSGW by visiting our web site. Q. Why is folklore important to our culture understanding? Folklore enhances our understanding of what it means to be human. People of widely different cultures all face many similar challenges: feeding themselves, nurturing loved ones and marking the passage of the seasons and of their lives. Folklore gives us a window onto how people of varying cultures adapt to these challenges. Q. Why did the Folklore Society partner with the Creative Cauldron for the 2014 Passport to the World? The Folklore Society constantly seeks new partners to broaden its reach in the Metro DC area. We would like to have a stronger presence in Northern Virginia. Creative Cauldron, with its convenient location, emphasis on high-quality programming from a wide range of cultures and its intimate performance space seems like an ideal partner. Q. Please tell me a bit about the groups: Washington Koho Toto Society, Ocean Celtic, Toss the Feathers and Shenandoah Run. Ocean Celtic fuses traditional Celtic (Irish and Scottish) music with modern instruments and rhythms. Founder/Bandleader Jennifer Cutting describes Ocean as “Music for ancient moderns…where ancient ballads meet cutting-edge electronics.” Cutting has created arrangements with sweeping orchestral sounds, shimmering ethereal electronics, authentic traditional instruments and a hard-hitting rhythm section. 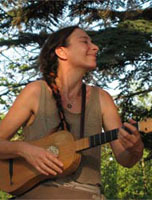 Her original songs stress the continuity between traditional and contemporary life. 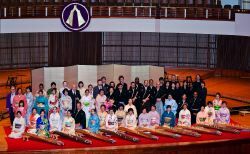 Washington Toho Koto Society is a nonprofit group of koto players and friends, primarily in the metropolitan Washington area, founded in 1971 by Kyoko Okamoto to promote the understanding and appreciation of Japanese koto music and to enhance the friendship between Japan and the United States. The society participates in many national and community events, including the Lantern Lighting Ceremony which traditionally opens The National Cherry Blossom Ceremony in Washington, D.C.
Ensemble Toss the Feathers is a duo that consists of Tina Chancey, Arlington, Virginia musician, and Valerie Loomer, a native of France. They play Irish music from the 17th and 18th centuries on instruments the composers knew: renaissance fiddle, viol, theorbo, early guitar and cittern. This fusion of roots music and early instruments is a passport back to the birthplace of Irish music. 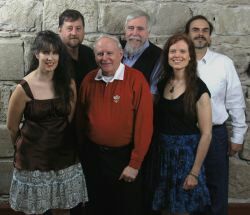 Shenandoah Run is a nine-member ensemble of seasoned performers who came together a few years ago to play folk music. Bringing with them individual experiences in folk, bluegrass, stage and other American world roots musics; they present classic and contemporary “folk music with a kick” as they describe their sound. They recall the high energy of the “60′s folk” with lush vocal harmonies and skillful and exciting instrumental backing. Q. What would you like audiences to come away with after attending a performance of the 2014 Passport to the World Festival? A greater appreciation of humanity’s vast creativity and the resilience of the human spirit. We’d also like for them to have an unforgettably fun time! This article can be linked to as: http://showbizradio.com/go/9876.